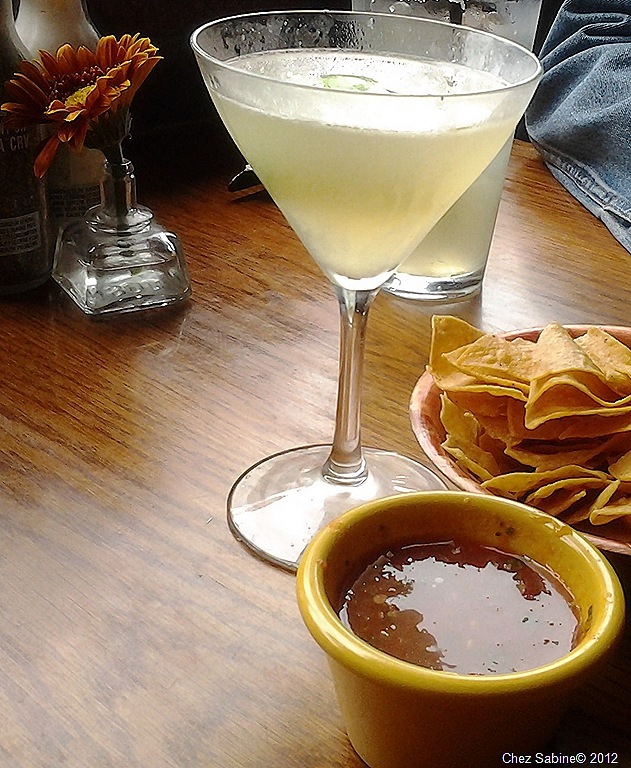 So, when it comes to tequila, I’m not a shooter, but rather a sipper. Truth be told, I’m more of a bourbon person. But, there’s this little Mexican joint near the beach that I frequent, and it seems that happy hour lasts pretty much all day long. Sometimes that’s not such a bad deal. It’s not that I get excited about the drink menu, but happy hour means that the carnitas tacos are dirt cheap. That gets me excited. OK, the place does have a drink that I seem to order each time I visit. 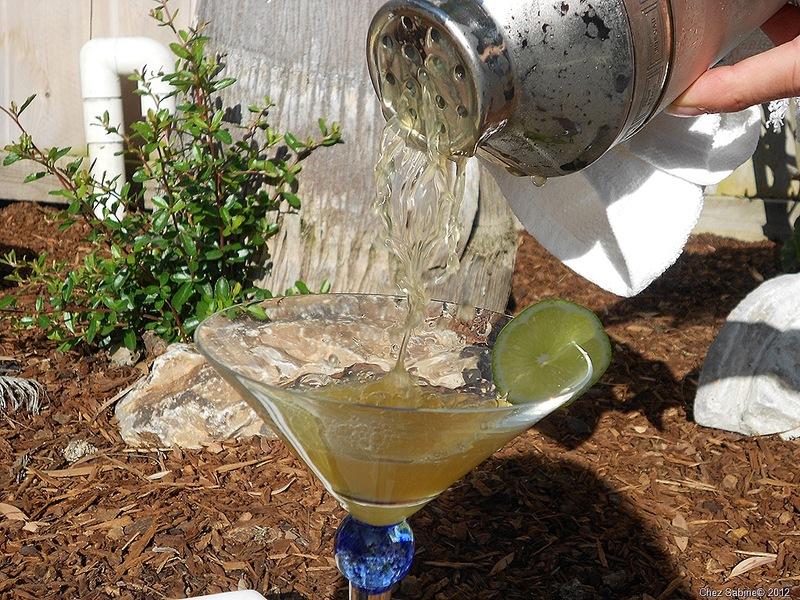 It’s a margarita made with tequila that’s been infused with fresh pineapple and jalapenos. I’m always on board for anything spicy, and I was hooked the first day I tried one of these – served up in a martini glass with no salt and a wedge of fresh pineapple gripping the rim. Believe it or not, it’s not a cloying drink, and that hint of heat crawling down your throat is beyond swell. I order it with a salsa back. Chips on the side. One day, my curiosity got the best of me and I asked the server how the flavored tequila was made. He seemed happy to tell me that it was made in house. It wasn’t a great mystery, but it was brilliant nonetheless. So, here goes. But with my tweaks. Naturally. 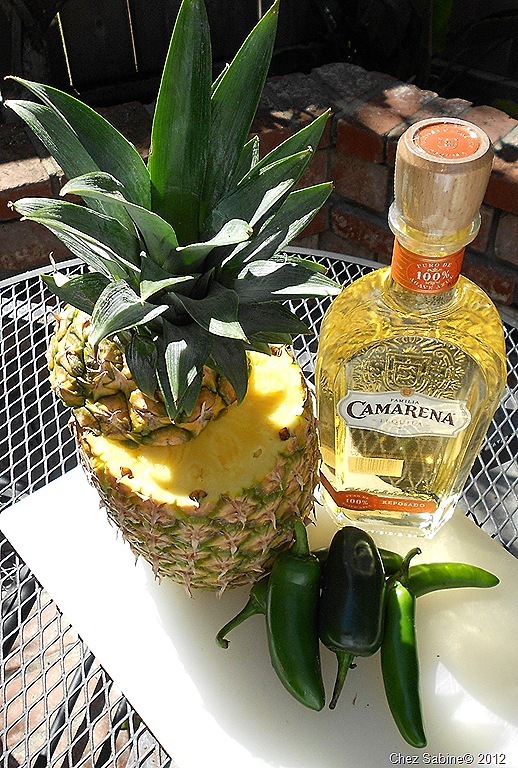 Get some tequila, one fresh pineapple and a couple of fresh jalapenos and two serrano chilies. Slice the pineapple in wedges about 1/2-inch thick or a bit thicker. Don’t slice it too thin or the slices will dry out and lose too much juice on the grill. Don’t discard the core, just slice it along with the rest of the pineapple. 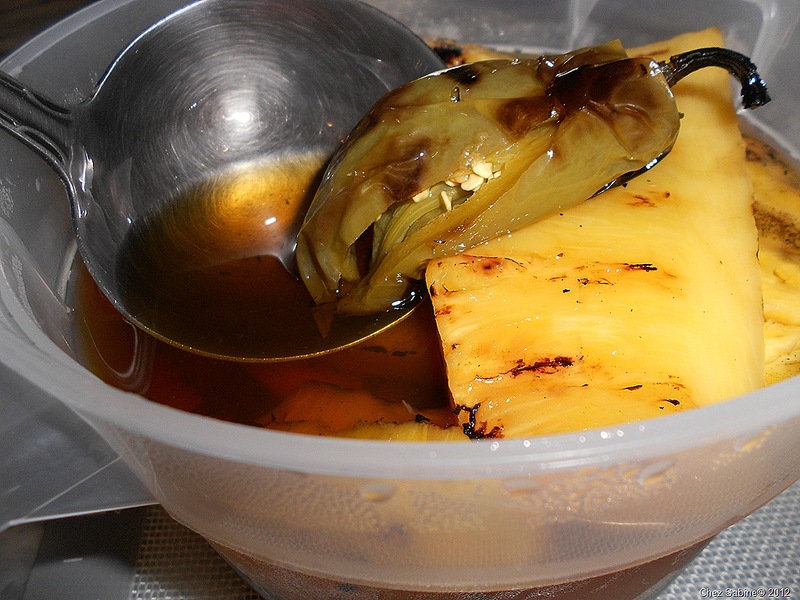 Grill the pineapple and chilies until they’re nice and brown, then add them to the tequila and let it sit for two weeks. I stashed it in the refrigerator. You can check on it in a couple of days and you’ll find that it’s already loaded with flavor. That’s it. Yeah, that may be it for them but, remember, I had to tweak mine. They use white tequila, I use gold. I suggest you do as well. Don’t go all high-end, but please don’t buy the cheapest tequila you can find. I tried that. Not pretty, but I think I can use it to get the rust off of my bicycle chain. I used a 2-quart container that easily held the pineapple, peppers and tequila. After a couple of days, the mixture came out the color of caramel. You can strain the tequila and put it in clean bottles when it’s reach the flavor you like. If you have a delicate palate, you might want to pull out the chilies and let the tequila and pineapple continue to mingle. The restaurant grills the pineapple and jalapeno a little bit, but I grilled the heck out of them and wrote myself an insurance policy with the addition of the serrano peppers because I find some jalapenos a bit on the wimpy side. If I still lived in Georgia, I’d call myself a moonshiner because I have this stuff crammed in the fridge in the kitchen and some in the garage fridge. It’s just this side of embarrassing. Make it and let me know what you think. Then I’ll post how to make bacon-infused bourbon. Geez, I’m a backyard moonshiner after all. If you are, too, let me know what concoctions you’ve come up with. For my version of the margarita, I take a couple of ounces of the pineapple-chile tequila and pour it over some ice in a shaker. I add the juice of a whole lime and a splash of Grand Marnier. That’s it. If you get a chance, check out the video below. Oh, and that groaning in the background is coming from Dexter and Luke who were horsing around during a very important photo shoot. Clearly, they don’t know how to control themselves. Oh! Tequila and BBQ. You’re brilliant. And a huge thanks for reading. Oh, Leigh, I think you’ll like it. The stuffed jalapeno peppers sound delicious. What are they stuffed with? Can’t to wait to hear how your tequila turns out. Thanks! Do you eed to roast the jalapeños and pineapples or do they work raw? Grilling or roasting the chilies and fruit give it a really nice flavor that I think would be missing if you didn’t. 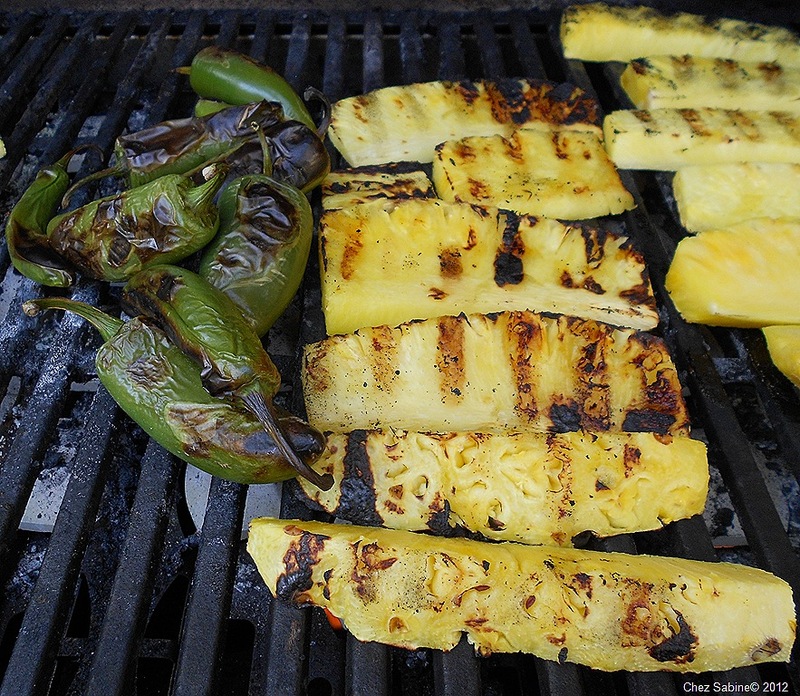 Also, grilling the pineapple brings out a lot of the sugar, which adds flavor, too. But, you could try it without and let me know how it turns out. Good luck! Pingback: Pineapple Jalapeno Margaritas infusion recipies? Sorry about that. I use a 750ml bottle. I had a Moscow mule made with this type of flavor of infused tequila and ginger beer. Delicious! Brought me online for some info on how to create the tequila at home! 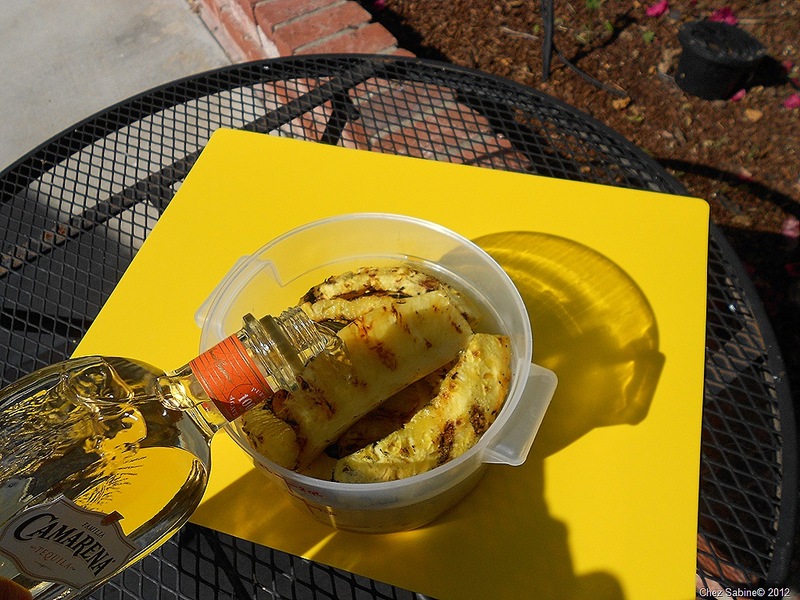 Did you discard the pineapple or can it remain in the tequila past the two weeks? I keep the pineapple in till the tequila is gone.